Many of us know Lisa Wilkinson as one of Australia’s most respected storytellers. We may remember her as editor of Dolly Magazine or in her current incarnation as co-host of the Today show. You are hard struck to find a female who doesn’t admire Lisa Wilkinson. PORTRAIT OF ASHER KEDDIE, PHOTOGRAPHER LISA WILKINSON. 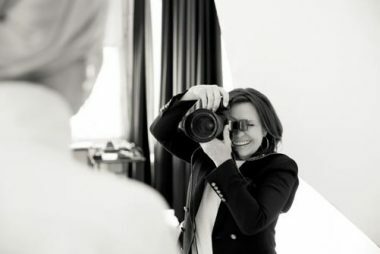 As Canon Ambassador Lisa Wilkinson was asked to shoot black-and-white portraits of women of her choosing. The result: stunning captures, “The who’s who of accomplishment, resilience and grace,” explained Lisa at the opening of her Women of Influence exhibition in Melbourne. PORTRAIT OF POLITICAL ADVISOR PETA CREDLIN, PHOTOGRAPHER LISA WILKINSON. A keen amateur photographer since she was 25-years old Lisa described making the short list as imagining who would be invited to her ideal dinner party. PORTRAIT OF ATHLETE TURIA PITT, PHOTOGRAPHER LISA WILKINSON. “I’ve been so incredibly fortunate throughout my career to be surrounded by amazing women. I love their honesty, I love their authenticity and I love that the real common denominator amongst all these women is this inner beauty that you can’t manufacture.” Lisa Wilkinson, women of influence. PORTRAIT OF FORMER NSW GOVERNOR DAME MARIE BASHIR, PHOTOGRAPHER LISA WILKINSON. Congrats Lisa on a technically exquisite debut exhibition. Thanks so much Helen Reizer for inviting Engaging Women to the opening. The Melbourne exhibition has now moved on to upstairs gallery at Michaels camera store, Cnr Elizabeth and Lonsdale St. Dates: 5th November – 16 December. Entry is free. If you are in Sydney head on down to the forecourt of Customs House, 31 Alfred Street, Sydney. Only two days left, it closes on November 9th! More details can be found at Canon Australia by hitting here. Read about more influential women via our inspiration library over here. Brain food and soul food to start the week. Posted in Elevate your voice, The Arts. Tagged in Asher Keddie, Marie Bashir, Peta Credlin, Turia Pitt, Women of Influence.